By conducting ongoing live fire testing in risk-specific areas, I-CAT strives to remain at the cutting-edge of technology, and to ensure continual improvement of its systems and solutions. 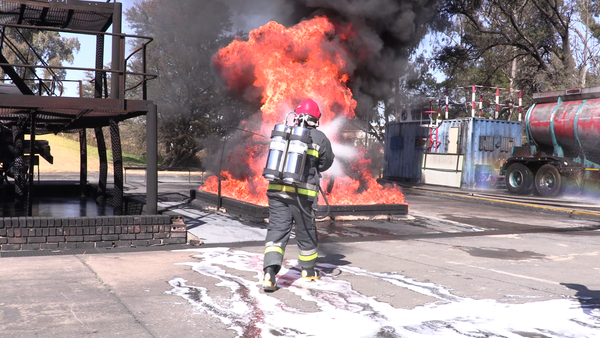 Recently I-CAT conducted live-fire testing on a fully operational conveyor belt in conjunction with Sasol. “This was a world first and resulted in a new specification for conveyor belt protection that has already been adopted by various mines,” I-CAT Fire Division Andro Gibhard comments. 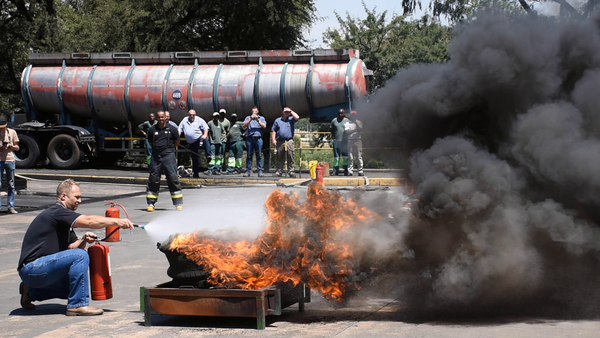 The Sasol test effectively determined that conventional powder systems are totally inefficient when it comes to Class A rubber fires, including conveyor belts and rubber tyres on mining vehicles. The rubber retains the heat and, if not cooled properly, will simply result in the fire re-igniting. I-CAT has also designed systems specifically to assist with underground fires to scrub smoke and allow people to evacuate any effected area safely. 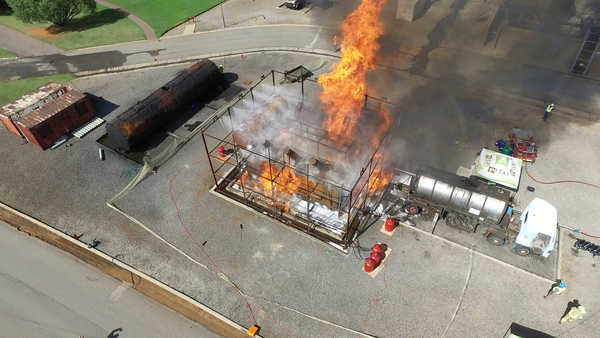 I-CAT also recently conducted one of the largest live fire tests on transformers worldwide, witnessed and certified by IBS, the Institute for Fire Protection and Safety Research, the largest testing and inspection agency for fire protection in Austria. “The technology has already been proven in some of the harshest working conditions imaginable,” Gibhard reveals. The I-CAT systems are particularly efficient because they offer cooling as the primary means of suppression. Most systems are designed to reduce oxygen and suppress the fire with a smothering effect. However, the problem here is that, as soon as you introduce more oxygen, the fire will re-ignite, rendering the equipment defenceless, as the fire system would already have deployed. “I-CAT’s systems are designed to suppress fires, while maintaining liveable conditions for humans in the vicinity. The atomised mist shields operators and bystanders from harmful and potentially lethal heat radiation, while also scrubbing smoke. Cooling the incident areas, hot surfaces, or ignition points reduces the chance of re-ignition of fires drastically,” Gibhard concludes. To download hi-res images for this release, please visit http://media.ngage.co.za and click the I-CAT link to view the company’s press office. 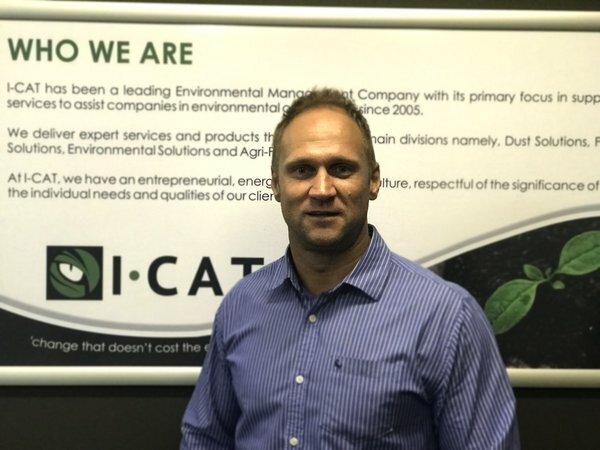 I-CAT is a leading environmental solutions company with a primary focus on supplying products and services that assist industrial clients in various aspects of environmental compliance. The company is well positioned to assist all its clients’ needs in environmental management regarding; dust suppression solutions, water solutions, environmental and waste management services, agro-forestry products and fire solutions.